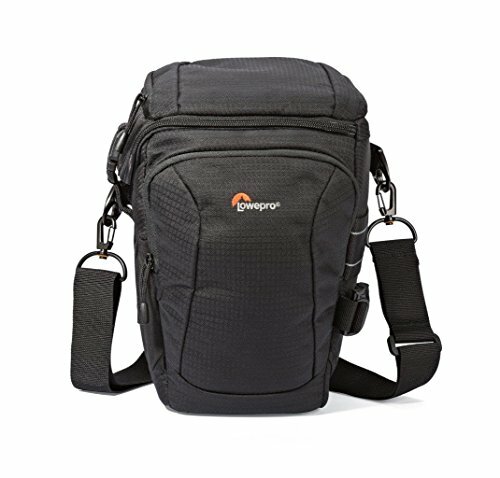 The Lowepro Slingshot 202 AW: Fast access. Extra space for personal items. Enhanced organization. Plus, space for a tripod. 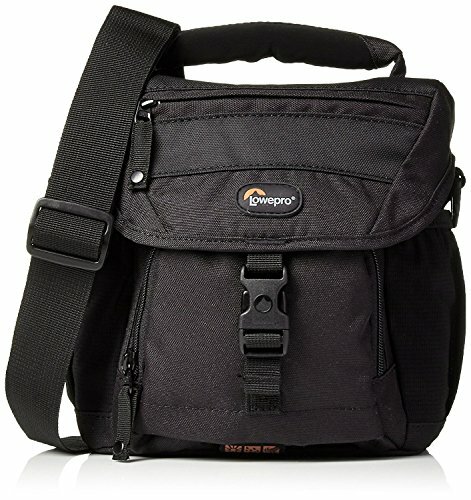 The original camera sling bag design allows for quick rotation from back to front to access gear. The increased volume throughout the design provides additional space for personal items and accessories. 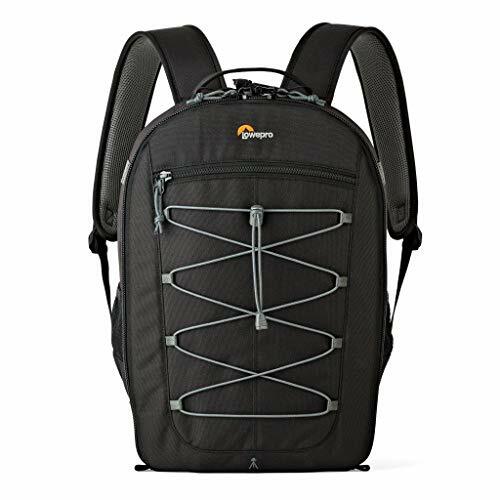 Easy-glide zippers offer smooth operation and fast access to all compartments. The camera compartment features a padded and adjustable divider system. The built-in memory card pockets on the inside lid provide quick access to spare memory. The Hideaway Tripod Mount system secures a compact tripod or monopod to the side of the sling. The patented built-in All Weather AW Cover protects gear from the elements. The SlipLock attachment loops expand the carrying capacity. The Slingshot 202 AW fits a DSLR with attached standard zoom lens, 3-4 extra lenses or flashes and accessories, a compact tripod or monopod and personal items. DSLR camera models that fit the Slingshot 202 AW include: Canon EOS Rebel SL1/T3/T3i/T5, Nikon D3200, Nikon D3300, Sony Alpha A5000 and Sony Alpha A6000. 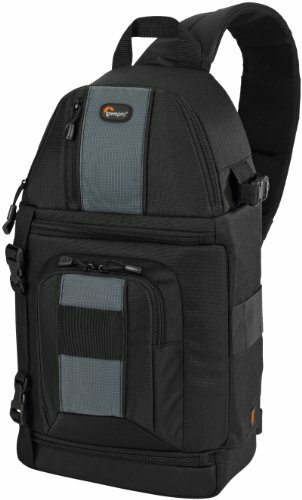 On streets or trails, you can shoot all day when you wear the lightweight, comfortable Fastpack 350 backpack by Lowepro. 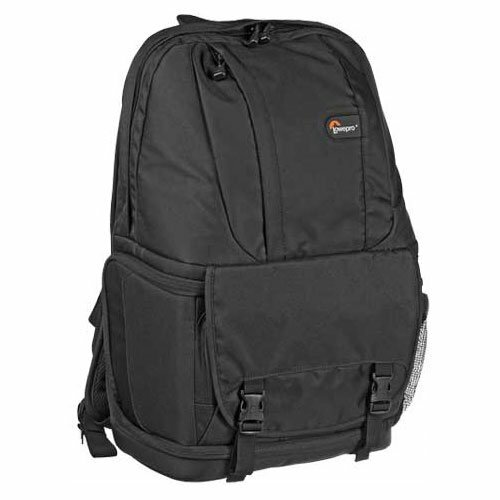 It protects a digital SLR with grip and a 24-70mm f/ 2.8 or 70-200mm f/2.8 lens attached, plus 17" Widescreen notebook. Generous storage for additional lenses such as 18-200mm, 100, 400 VR, or 70-300mm f/4, flash, and other personal accessories. You won't miss a shot, because side-entry compartments let you grab equipment and accessories, even while you're on the move or without taking the backpack completely off! Customize the easy-to-access main compartment with adjustable dividers, use the outer organizer to keep larger accessories handy, and manage memory cards with a built-in pocket. Brethable, contoured shoulder straps distribute weight evenly. No need to let the weather stop you from shooting—the Nova 140 AW includes a 360º All Weather Cover that protects your gear as you work. The over flap lid increased protection from the elements. Adjustable interior with padded dividers for easy customization of gear. Dual memory pockets on inside lid provide easy access to spare cards. Front accessory pocket and mesh side pocket for convenient, extra storage. Adjustable/removable shoulder strap for custom and comfortable fit. Cushioned grab handle and built-in belt loop provides extra carrying option. The Nova 140 AW fits a DSLR with lens attached, extra lens or flash, memory cards, accessories or a GoPro camera and accessories. Camera models that fit the Nova 140 AW include: Canon EOS Rebel T3/T3i, Canon EOS Rebel T5/T5i, Canon EOS Rebel SL1, Nikon D3200, Nikon D3300, Sony Alpha A5000 and Sony Alpha A6000. 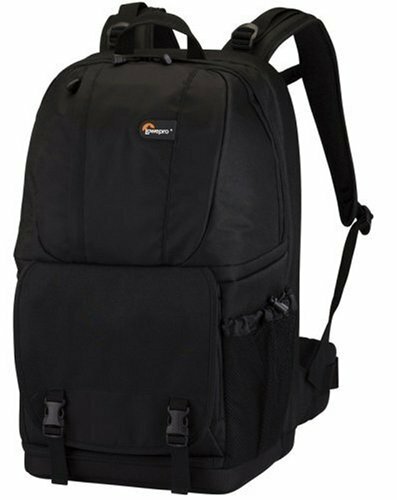 On streets or trails, you can shoot all day when you wear the lightweight, comfortable Fastpack 200 backpack from Lowepro. 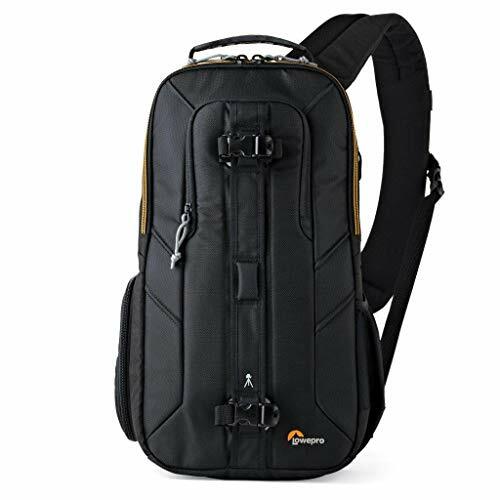 It protects a digital SLR with a mid-range zoom lens attached, plus 2-3 extra lenses or flash units, audio player, and other gear. You won't mis a shot, because the side-entry compartment lets you quickly grab equipment and accessories, without having to take the backpack off! Customize the easy-to-access main compartment with adjustable dividers, use the outer organizer to keep large accessories handy, and manage memory cards with a built-in pocket. Brethable, contoured shoulder straps distribute weight evenly. 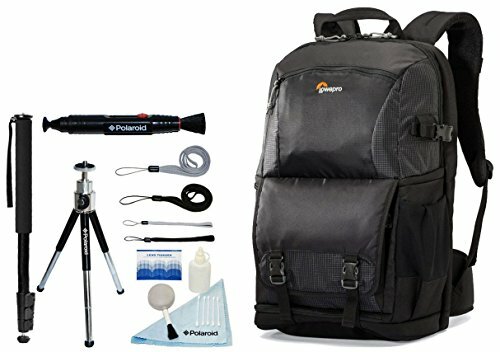 Want more Lowepro Fast Pack 200 Digital Slr Backpack similar ideas? Try to explore these searches: Tower Station, Resistant Tank, and Americana Name Tag.